Upon arriving at the the Social Distortion stage, I quickly noticed that my friends and I were among the youngest in the "old-school" crowd. Social D was a major part of the scene a little before my time, and to be completely honest, I have never really become familiar with their music other than some of their most catchy singles. One thing I do know about them is that they are one of the biggest musical influences to many of my favorite bands today, and that automatically gives them my respect. I was pleasantly surprised with how much I enjoyed their set and how many of their songs I recognized. My favorites were "Ball and Chain" and "Story of My Life." I actually even enjoyed their rendition of a popular Johnny Cash song, "Ring of Fire." 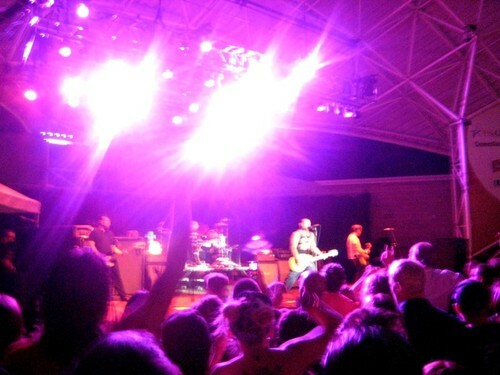 For as old as the Social D guys must be now, they still know how to rock a huge crowd and kept everyone bouncing up and down on the bleachers until they felt like they were going to break. I think everyone watching them at Summer Fest, whether you had a mohawk or not, definitely enjoyed themselves. it's sweet that you can give such a rad review to a band you're not that farmilliar with. good job kate, keep at it. excellent job!!! = ) your a freaking pro!!! way to go! Social Distortion has been around for a long time, around 30 years, so there is a wide variety of fans! Even though the band has seen a number of the members change over the years it has never ceased to continue rocking! 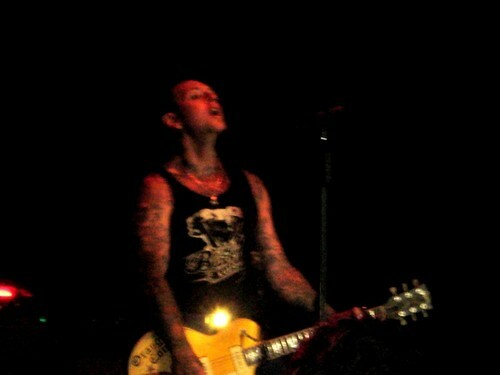 Mike Ness still looks really good. Nice coverage of the show. Happy to see you appreciate the classic punk rockers!